In more than 30 published clinical studies, researchers tell us what Juice Plus+ does inside and outside your body. Here is an overview of the Juice Plus+ research published, completed and still underway. In the first clinical study of Juice Plus+ from a dental perspective, researchers at the University of Birmingham, United Kingdom (full article) recently completed the clinical phase of their analysis of the impact of Juice Plus+ on measures of gum health in 60 adults. Dr. Eggleston explains each term. “There is a pocket around every tooth, like a moat around a castle. If that pocket gets too deep, then we get into dental problems. But if that pocket is shallow, then we can actually get to that area through flossing and brushing and keep it clean. The second term – gingival attachment – is like a belt around the tooth that keeps it planted rock solid in the bone. “If Juice Plus+ is shown to improve either of these factors, it would be impressive,” Dr. Eggleston suggests. “But if it improves both – as I expect – it simply corroborates what I’ve experienced in my own practice. I’ve put so many patients with unhealthy, bleeding gums on Juice Plus+ – and then they come back a few months later either not bleeding at all or bleeding very little. Their gum tissue is no longer red and beefy, but pink and beautiful. 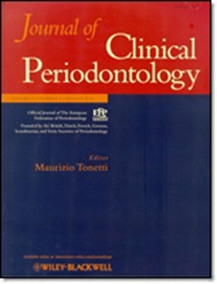 A second study took place in Würzburg Germany, where they studied the effects of Juice Plus+ on the outcome of established periodontal treatment in patients with poor gum health. A third study, now completed and awaiting publication, answered the question "Can Juice Plus+ improve post-operative Quality of Life after wisdom tooth extraction?" This was a gold standard, randomized, placebo-controlled, 11 week study with 183 patients. Quality of Life and pain levels were significantly better in the Juice Plus+ group compared to placebo even in the week after surgery. The study abstract was presented at a Dental Conference in Boston, March 2015. Thousands of dentists have seen the benefits of Juice Plus+ in the mouths of their patients. As a result many of them began taking Juice Plus+ themselves and providing it to their families. Now hundreds of dentists around the world are recommending Juice Plus+ and seeing even greater benefits in their patients and in their practices, where whole food nutrition is a perfect fit with preventative dentistry. Please watch Dr. Eggleston's short video below. Dr. Eggleston can also be heard on this recorded conference call, discussing with UK dentists and researchers his experience and the ongoing Juice Plus+ research on periodontal disease. Please watch Dr. Eggleston together with 7 other doctors, in the video below.